Way back in 2012, newly appointed Panthers coach Ivan Cleary heads to his first day of work at Penrith. 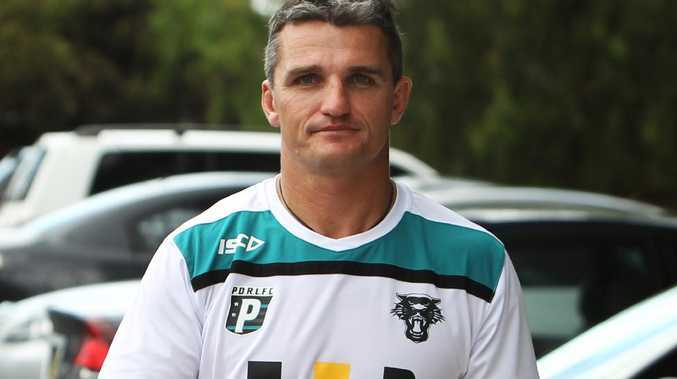 IVAN Cleary's revised deal with Penrith could be signed off as early as Friday afternoon, according to a report. 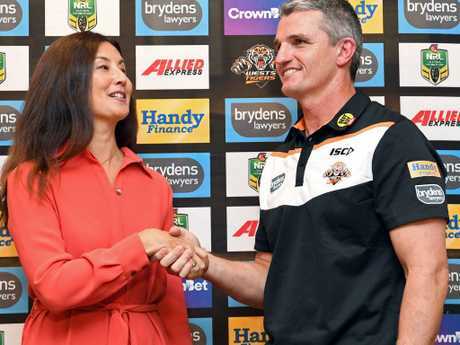 The Wests Tigers coach is set to confirm his return to Penrith, despite remaining contracted with Wests Tigers through to the end of the 2020 season. The Panthers and Tigers are expected to reach a compensation agreement that will allow Cleary to break his contract with the joint-venture club. Cleary recently signed a three-year deal with the Panthers beginning in 2021. His new contract is expected to lock him in at the Panthers on a five-year deal and allow him to join assistant coach Cameron Ciraldo in time for the club's first day of pre-season training on November 12. Channel 9's Danny Weidler first reported the development, posting on Twitter that Cleary's management was hopeful of signing off on the deal on Friday. 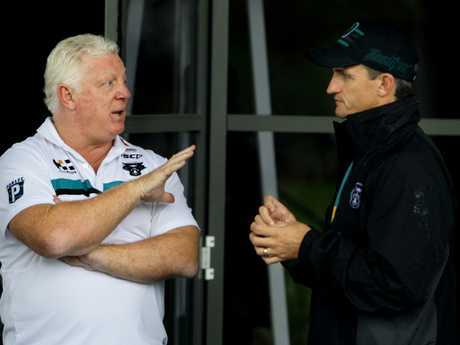 The Tigers' decision to release Cleary came after reports emerged on Thursday that the club had agreed to a three-year deal with former Rabbitohs premiership-winning coach Michael Maguire. Maguire, who was interviewed by Brisbane and Manly, is tipped to sign a $2.5 million deal with the Tigers after Wayne Bennett informed the Tigers of his preference to sign with South Sydney. Maguire is on tour of England with New Zealand but will likely be back in Sydney for November 15 when the majority of Tigers players return to pre-season training. If he was to join, the 2014 premiership-winner would continue his job with the Kiwis, after having declared earlier this month he wanted to get back into the NRL while also juggling a representative role. 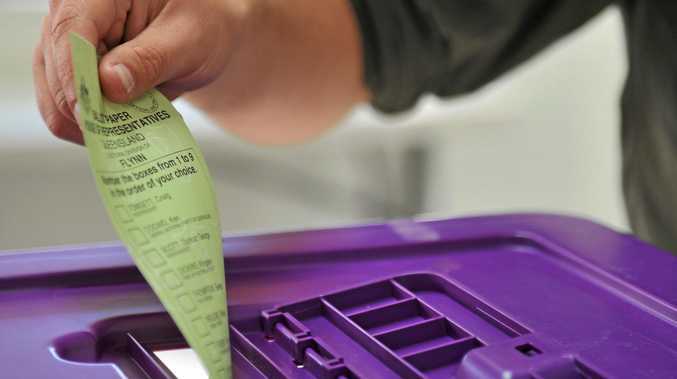 "That's going to be a stipulation to what I do moving forward," Maguire said at the time. "I'm really keen (to get back to an NRL club) and being away from it week in and week out has allowed me to spend more time in this space. "It's great. I've met so many more kids, coaches, it's opened up the scope and it's been enjoyable. I'm also looking forward to getting back in the mix when the time's right." Former NSW State of Origin coach Laurie Daley declared on Friday that the Wests Tigers were actually the big winners of the NRL coaching circus. Daley told Sky Sports Radio that Maguire's credentials could not be ignored after he guided the Bunnies to the NRL premiership in 2014. However, Weidler said on Friday that there was risk involved in the Tigers' decision to appoint Maguire as Cleary's replacement. Weidler told Sky Sports Radio on Friday the Rabbitohs' playing group was "not a happy camp" in Maguire's final year at the helm before he was axed in favour of former assistant Anthony Seibold. Weidler said Maguire needed to "re-invent himself" as a coach. premium_icon Who is Anthony Seibold?